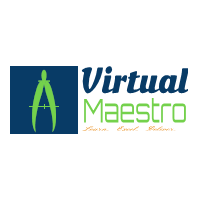 Virtual Maestro: VMware vSphere 6 update 2: What is changed? What is new in Update 2? VMware Host Client: HTML5 client that is used to connect to and manage single ESXi hosts. High Ethernet Link Speed: support for 25 G and 50 G ethernet link speeds. VMware Virtual SAN 6.2: VMware Virtual SAN 6.2 is bundled with ESXi 6.0 U2. Supports the IO Filter VASA Provider in a pure IPv6 environment. Supports the VMIOF versions 1.0 and 1.1. Two-factor authentication for vSphere Web Client: RSA SecurID and Smart card authentication. Issues that are fixed in this release are as below. The resolved issues are grouped as follows. For detailed description refer release note for the same at VMware Portal.